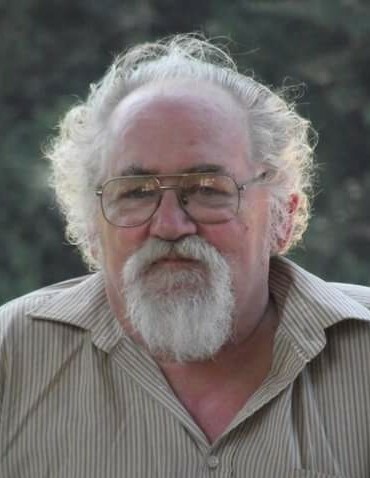 John David Sturgill, 73, of 15 Smithwood Lane in Piney Creek, passed away on Thursday, July 19th, 2018 at his residence. He was born June 29, 1945 in Prince Georges County, Maryland to Alice Marie Halsey Sturgill and the late David Andrew Sturgill. In addition to his father, he was preceded in death by his wife, Doris Powers Sturgill; a grandson, Jacob Dean Hill. He was an artist of many things and was a founding member of the Piney Creek Fire Department. Survivors include his mother, Marie Sturgill of the home; a son, Bruce Sturgill of the home; five daughters: Rosie Willis (Mark Richardson) of Piney Creek, Sandie Henderson (Richard Gilbert) of Wilmington, NC, Mary Alice "Mouse" Sturgill of Columbia, SC, Ruth Ann Hill (Chris) of Piney Creek, and Christy Halsey (Lonnie) of Sparta; two brothers: Danny Sturgill of Piney Creek, Thom Sturgill (Joyce) of Fort Pierce, FL, two sisters: Becky Smith (Cliff), Barbie Atwood (Ronnie) all of Piney Creek; nine grandchildren: Savannah Loggins, Madison and Morgan Trogdon, Alexis Crandall, Makayla Sturgill, Alex and William Hill, Jade Castevens, and Dean Galyean; eleven great-grandchildren; several nieces, nephews and cousins; children of the heart, Leah Gambill and David Rash. A Memorial Service to celebrate the life of John will be held at 4:00 pm Monday, July 23, 2018 at New Home Free Will Baptist Church with Reverend Eric Miller and Speakers, Jeff Venable, Bill Powers, Ralph Pratt, Chris Sekerak, Roger Bledsoe, Bill Osborne, and Steve Wishnevsky all officiating. Honoring John for his service to the Piney Creek Fire Department will be the Alleghany County Honor Guard. Inurnment will follow at Piney Creek United Methodist Church Cemetery. The family will receive friends one hour prior to the service at the church and other times at the residence. In lieu of flowers, Memorials may be made to the Piney Creek Fire Department, Raise the Roof Campaign c/o Osborne Accounting Service. PO Box 368 Sparta, NC 28675. Eric Thomas Funeral Service Licensee, LLC is honored to be serving the Sturgill family and if you wish, online condolences may be extended to the family at ericthomasfsl.com.